Customers now have the information they need to make a booking which has increased their confidence when making a booking. “Snowdrop's expertise, combined with Google Maps, enabled Travelodge to put the customer at the heart of our mapping. Surfacing key information about the hotels as well as supporting the customers need to find everything about the surrounding area and critically, travel times and directions. All of this complex information is now wrapped up in a visually pleasing format which is easily accessed and manipulated by our customers across all device types. 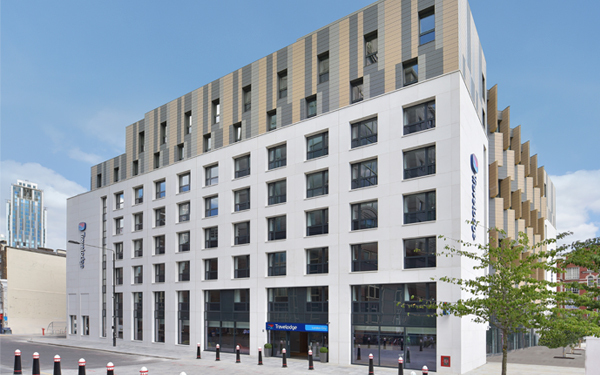 Travelodge customers have been very vocal about the changes and they have loved the new maps; Travelodge aims to delight our customers - and with this change the team most definitely have!" James Loar, Head of Product. As the leading provider of great value hotel services in the UK for over 30 years, and with over 550 locations across the UK, Ireland and Spain, Travelodge provide modern, clean, comfortable rooms in the right place at the right price, whatever the customer's reason for travelling, be it tourism or business. What did Travelodge want to achieve? Digital is right at the heart of the next generation Travelodge business. It's important today but will be even more so tomorrow. 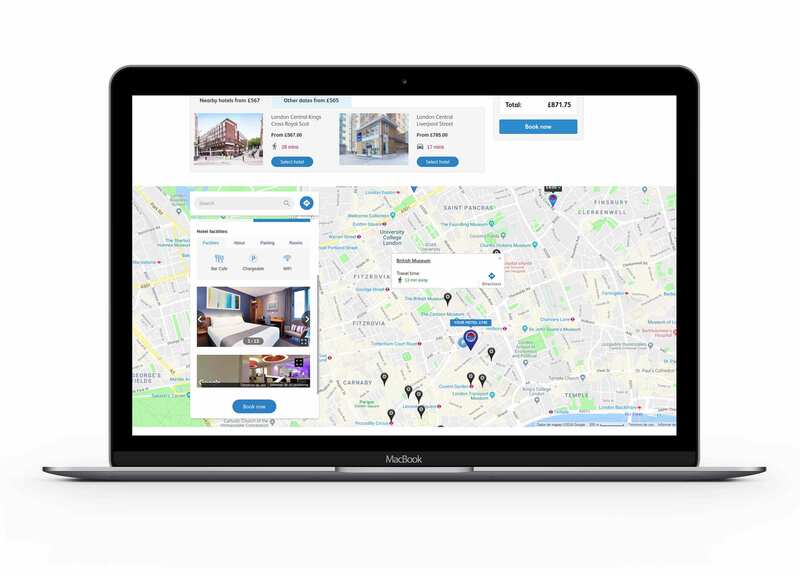 Travelodge are unashamedly looking to "win the web" and are investing in technology and partnerships to ensure customers are put at the heart of the booking journey. With over 550 properties all in the right place, at the right price, it can be challenging for customers to make an informed choice about their stay. 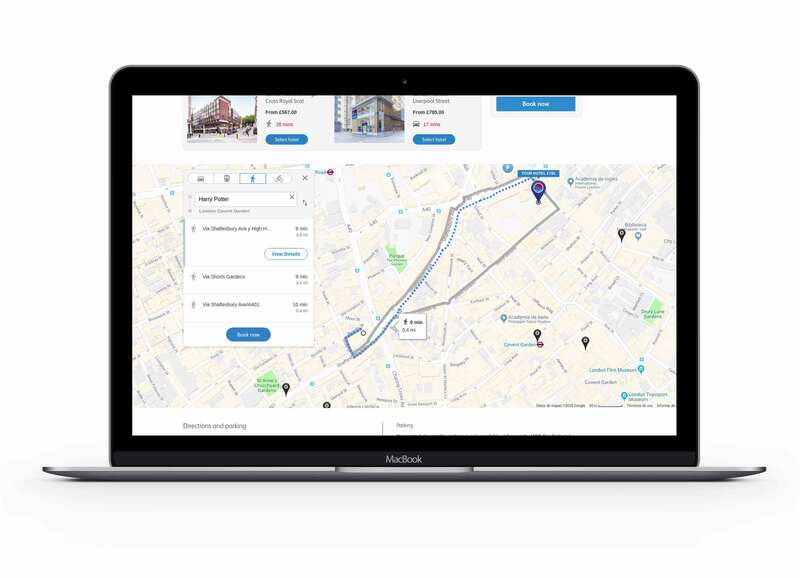 A great mapping solution can provide more information about the hotels - and also more information about the surrounding areas to support the customer with their journey both to the hotel, and then from the hotel to an onward destination. What has been the solution? The problem was a complex one; a huge amount of things to show to a customer who wanted al the information presented in a clear and concise manner - and in a way which would add value to their experience of Travelodge. “With the help of the Snowdrop team, reviewing the data and speaking directly with our customers, Travelodge understood exactly what was required to deliver the right information to our customers at the right time. 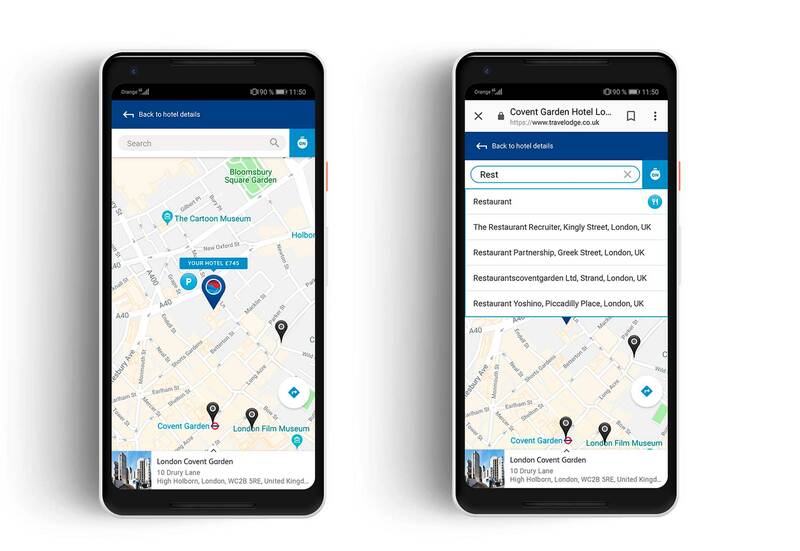 We set out to enable customers to have all the relevant information at their fingertips when booking a Travelodge Hotel, be it for leisure or business purposes”, says James Loar, Head of Product. The solution was to render all of the information onto a large - and easy to use - map and then surface key pieces of information at the right time for the customer. Showing hotels to the customers was key but we also want them to make the most of their surroundings, seeing everything they expect from a contemporary mapping solution. 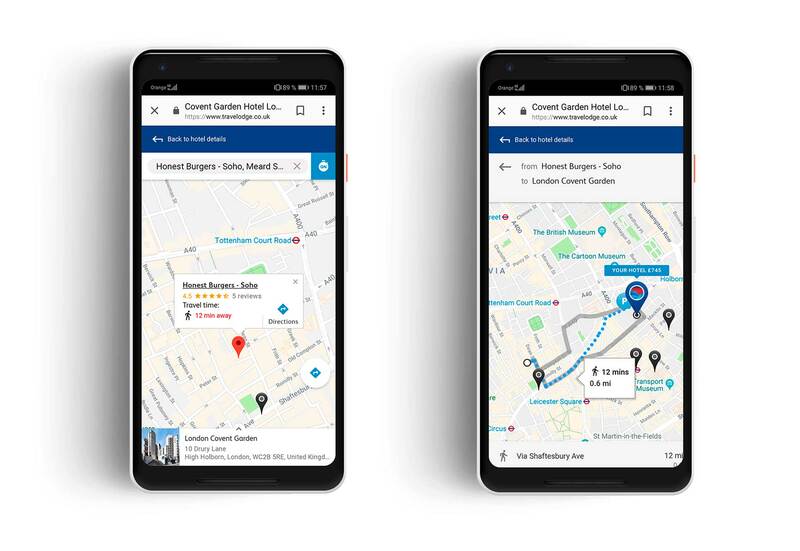 Customers are able to search for places or points of interest and one of the key features they requested was to show travel times as well as travel routes to help them with their journey to and from the hotels. 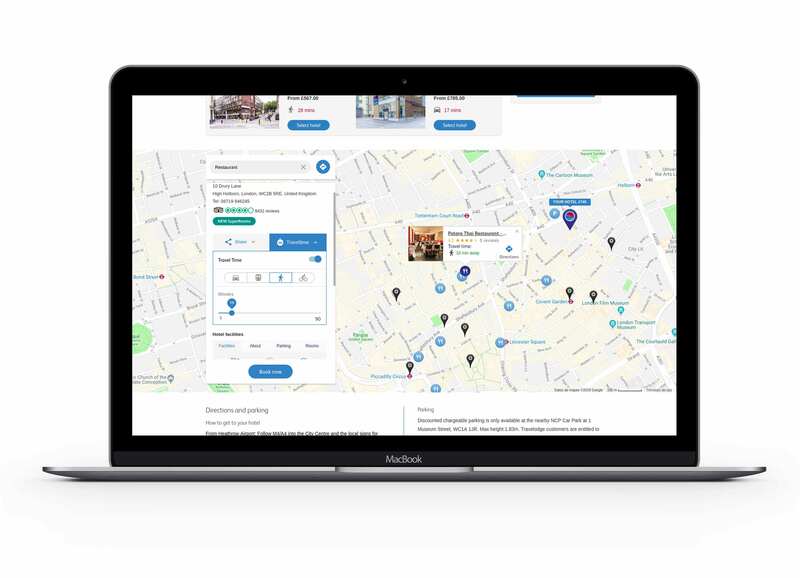 Additionally, TripAdvisor reviews, images and Street Views and other hotel information were integrated into the map to ensure the customer has everything at their fingertips when making their key hotel booking decisions. You should not rely on this case study when considering whether to enter into a contract with Snowdrop. Travelodge will not accept any liability arising from your reliance on the information contained in this case study.